We are an online knitting brand with DIY knitting kits aimed at inspiring more people to learn to knit. Our mission is to make an age-old craft contemporary. By introducing easy-to-follow patterns and an online knitting circle via our social fan pages where our knitters can post hints, tips and/or show off their knitted pieces, we prove that knitting is no longer done in solitary or thought of as being old-fashioned. Our mantra ‘knit to tell’ emphasises on the richness of stories behind handmade products. 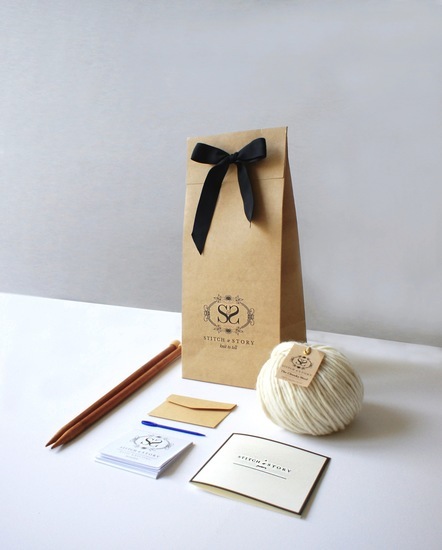 We believe the best things in life are made by hands and our knit kits help ensure consumers make the connection between the stress-free experience of knitting and the creation of an authentic, value-added product – one that isn’t embarrassing to wear or show-off! Subject to stock availability, we aim to prepare your goods for dispatch within 48 hours of receipt of payment. We ship all mail via UK Royal Mail. Please see notonthehighstreet.com's delivery policy. Once your payment has been approved and the address has been verified you can expect to receive your item within 3-4 working days. Should you wish to cancel your order after it has been dispatched, you must follow our returns procedure. You will be liable for all return delivery costs and administration fees and your original delivery charge will not be refunded. Lost Parcel?If you're worried about a loss parcel, please get in touch [email protected] We do not send you a replacement if the UK order is less than 3 weeks old and if the International order is less than 6 weeks old. From our experience, mail delivery times differs country to country and may be subject to custom checks which can delay an item. In the unlikely event that your order is not received and is lost in the post, please contact us and we will look into how and why the item has been lost. If we establish that the order is definitely lost we will re-deliver the goods. Should you wish us to re-dispatch your order immediately, you will be responsible for the cost until your investigation has been completed by our courier. We print the address you have listed directly onto stickers, and it is the customer's responsibility to make sure the address is correct. If it is incorrect, we do not take the responsibility of replacing it if lost. If your order arrives incomplete and our confirmation email or paperwork included with the package does not give a satisfactory explanation, please inform us within 7 working days and we will try to rectify the situation immediately. If any goods arrive damaged, please follow our Refunds & Returns section below.